If you love bread then you will definitely love this tasty new recipe created in celebration of National Bread Week. Place the bread, walnuts, spring onions, tarragon and seasoning in a food processor and blitz to give a coarse crumb. 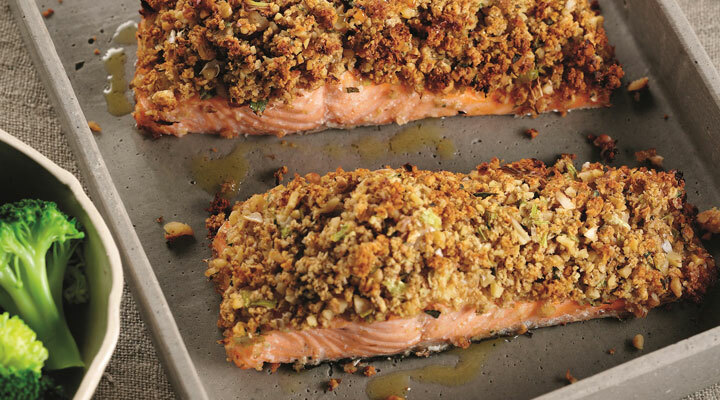 Press onto the salmon fillets and place on a greased baking tray. Bake for 20 minutes until golden and salmon is cooked throughout.